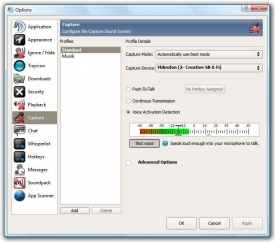 "Talk to your friends through the Internet while playing using this VoIP tool." This is the 64 bits Windows version of the famous TeamSpeak software that is mostly used by online gamers throughout the world. It lets you talk in groups or to specific persons as if it were a walkie-talkie radio, and all of it just pressing one button. Thanks to its low data consumption it is ideal for applications and games where we need to have all the connection available. TeamSpeak connects to its servers for transmitting and communicating. Its functioning is based on VoIP communication that uses the connection to the Internet with a reduced bandwidth which won’t influence significantly the online games that we play while using this software. For being able to use this service we will need a specific TeamSpeak server, which can either be rented or set up personally with the downloadable TeamSpeak Server files. As it uses specific servers’ and client’s system, it results in high communication quality and the small problems like delay/lag or delay in sending or receiving data are very few, it functions practically live, and that’s why TeamSpeak is one of the VoIp communication programs mostly used by the gamers all over the world, starting with FPS games and up to great alliances of MMORPG as it is possible to have chatrooms of 1000 users without any problems. It is possible to classify and divide the users in groups for an easier communication, with chatroom managers and administrators who can control and moderate the use that is being given to the network with the help of the AntiSpam systems for avoiding undesired advertisements. 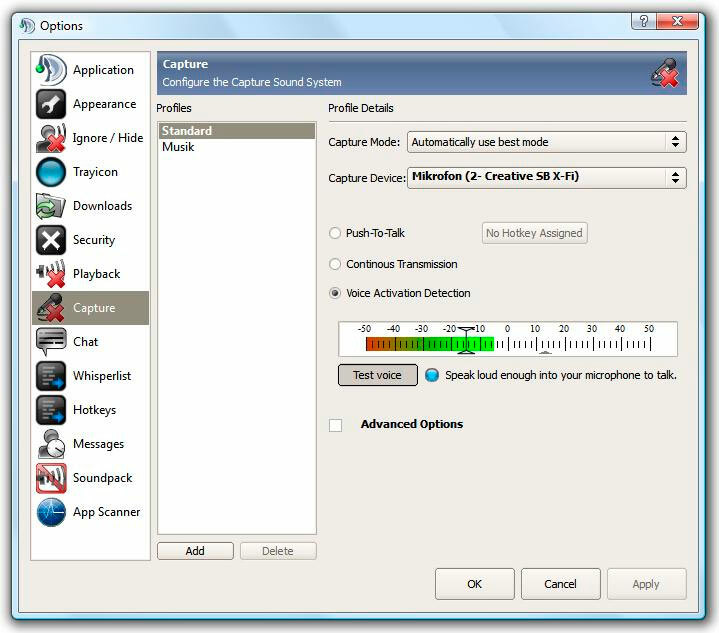 What concerns the options available, TeamSpeak includes voice recognition for being able to talk with no need for pressing the button, voice modificators for adjusting the small details like the volume so the differences in volume caused by microphone configurations of each user even out. We can also change our status so that other members know if we are available, configure shortcuts by combining buttons and a system for pronouncing the names of users for knowing who are you talking to in each exact moment with no need of looking at the program itself and this way having it running as a background. For all these reasons, if you are looking for a high-quality free communication system, which is at the same time simple and reliable for your clan or game community, you should download TeamSpeak.